Auction marts have had a mixed response to the triggering of Article 50 in the lamb markets. 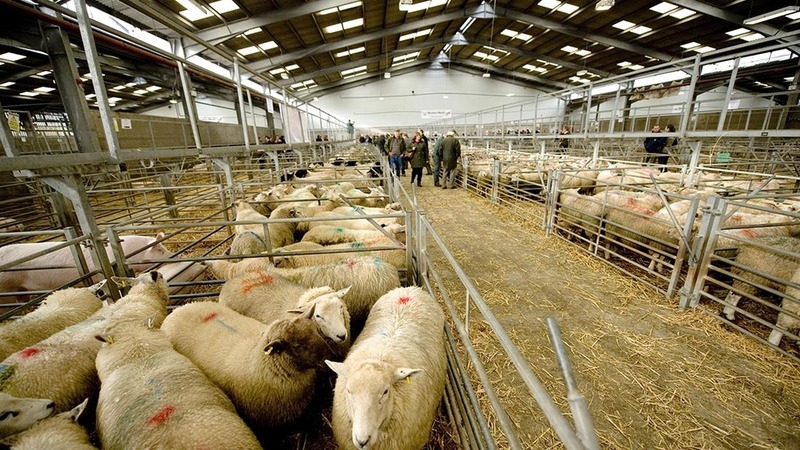 The pound fell in anticipation of the UK beginning the process to leave the EU and McCartneys (Powys) auctioneer Jenny Layton Mills said there had been a boost in lamb prices. Currency has a major effect on the lamb markets, with a large proportion of sheepmeat exported to the continent and exporters have benefited from weaker sterling since the Brexit vote. But Sedgemoor Market auctioneer Robert Venner said he believed Brexit had made European importers look elsewhere. Ms Layton Mills said the markets had started to improve about a fortnight ago. She said: “But there are more numbers out especially heavier lambs which people seem to have been holding back waiting for the price to change. Mr Venner said the hogg trade had been beginning to lift, but was still not where they wanted it to be. “We have had a weak pound since Brexit,” he said. He said in France, the UK’s biggest export market, they were importing more lamb from Spain, with Romanian lamb being imported into Greece. He added the lamb trade had also been provided a boost from seasonal sales with a lot more buyers at the market. “We always see a boost two Mondays ahead of Easter,” he said.